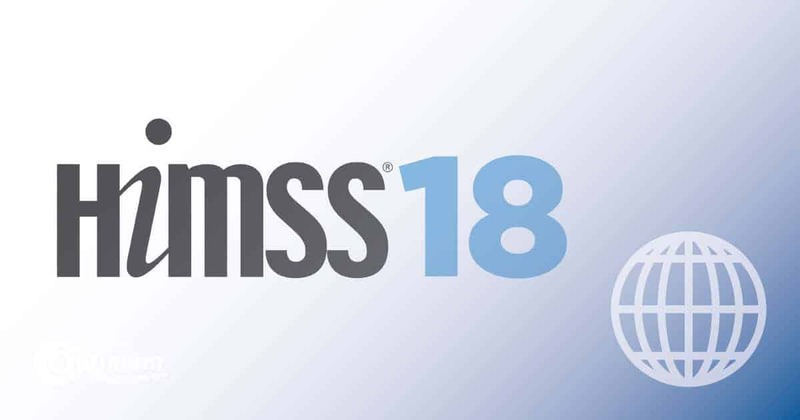 And just like that, HIMSS18 is in the books. First off, we would like to thank everybody that took the time to speak with us at our booth during the show. It was a pleasure meeting so many fantastic people and learning about their Healthcare IT needs. 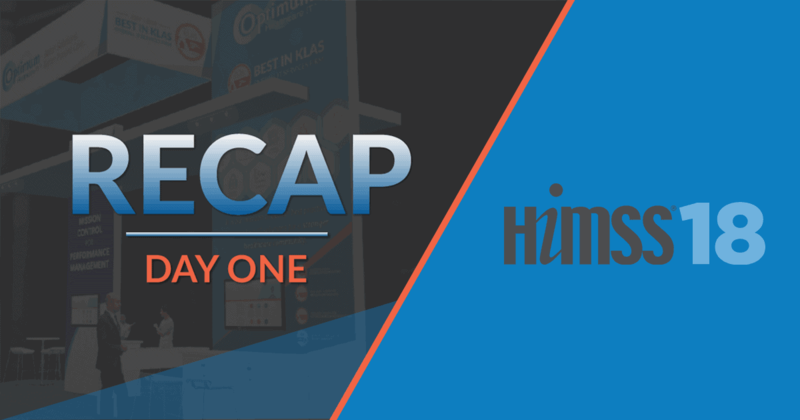 HIMSS18 provided an opportunity for our team to talk with a lot of great people who are just as passionate about improving healthcare through best practices and IT solutions as we are. At Optimum, we are committed to helping our clients improve healthcare delivery by providing world-class consulting services. We spoke with many different people from across the United States and overseas, and we were so impressed with their desire to improve care delivery and the quality of care. Whether it was over lunch, at our receptions, in the halls of the convention center, or at our booth, we had some terrific conversations around how our services can assist healthcare organizations to meet their Healthcare IT goals. Speaking of our booth, 2018 was the first year we have had one, and it was awesome. Our focus was on demonstrating how our full range of service offerings can help healthcare organizations meet their Healthcare IT needs and goals. We had subject matter experts from both Optimum and Clearsense who shared their knowledge and insights with visitors. And visitors shared their healthcare IT needs and visions for the future of their organizations. We will relish the experiences, conversation, and collaboration within our booth throughout the coming year. 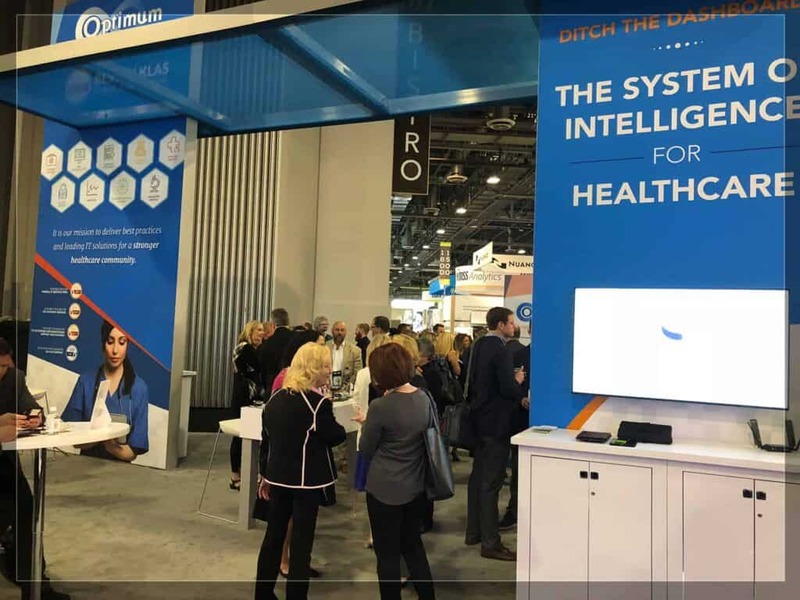 It wasn’t all business, all the time at HIMSS18. We hosted CHIME in our booth on Tuesday for a networking reception where two lucky attendees won scholarships to the CHIME Fall CIO Forum. 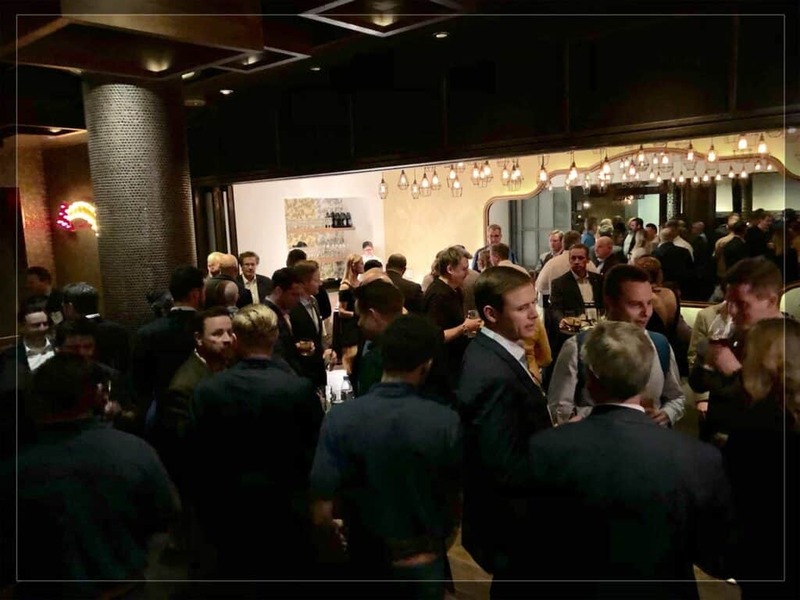 We also held two networking receptions at Cut Steakhouse and at Public House. All of the events were highly attended and very popular. Once again, thank you to all of the wonderful people who stopped by our booth and shared their Healthcare IT goals and needs with us. We enjoyed building stronger relationships with our current clients, as well as planting the seeds for success with some new clients. All in all, we felt that HIMSS18 was a big win for both our company and our clients. 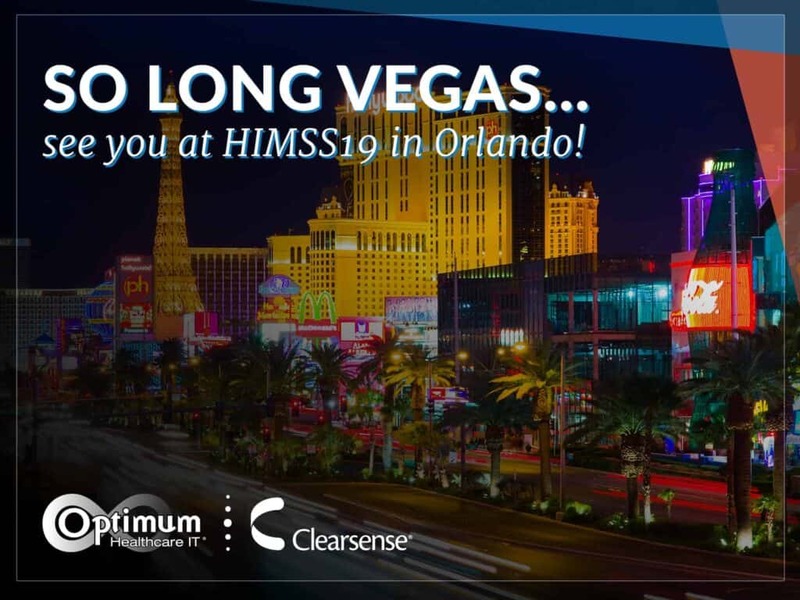 If you did not get a chance to talk to us about our services at HIMSS, don’t worry. You can get in touch with us at any time via our contact page. 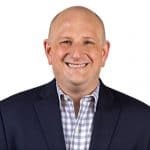 Make sure you are following both Optimum Healthcare IT and Clearsense on social media to stay current on healthcare IT thought leadership and news. Thank you HIMS18 and Las Vegas! We’ll see you in Orlando in 2019!